As a business, you know that you have at least several stacks of paperwork around your office at any one time. The documents that a business has defines it; they contain company information, employee information, client records, invoices, and a wealth of other vital pieces of information needed to run your business on a day-to-day basis. But when should you dispose of these sensitive documents? All documents outlive their usefulness at a certain point and holding on to them just means you have to find space for unnecessary paperwork mountains. However, for most businesses, it can be difficult to set a schedule for clearing out any old files. But destroying outdated documents has many benefits, not just creating space in your office, but also helping prevent identity theft and information losses. The best thing to do is start spring cleaning every year; this will ensure your business is always up to date, without old files getting in the way. Many businesses are required to keep certain pieces of private client information, as well as company data, for a minimum time. 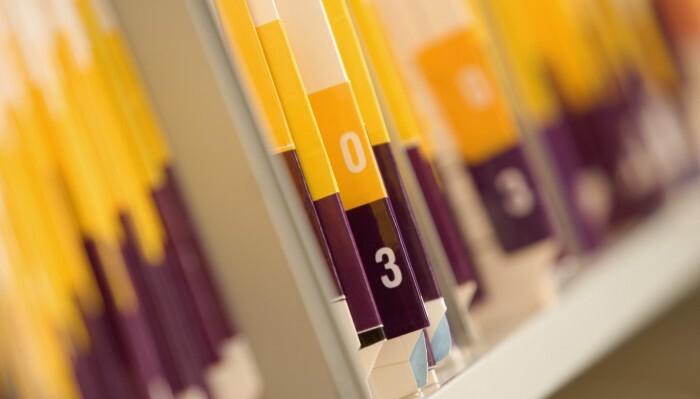 There are numerous records that should be kept for up to a minimum of six years, though the exact time should be looked into for each document type. These documents can include employee contracts, business loan documentation, expense reports and professional consultation fees, among others. Other documents may be kept for shorter or longer amounts of time, so it’s important to know how long your company is legally required to hold onto a document for before you start the disposal process. By regularly maintaining your filing cabinets/loose paperwork and securely ridding your business of outdated documents, you can help your company minimise the risk of any sensitive information that you hold being accessed by unauthorised individuals. Unsecured data is always at risk, and can result in identity theft, fraud, and even financial loss. 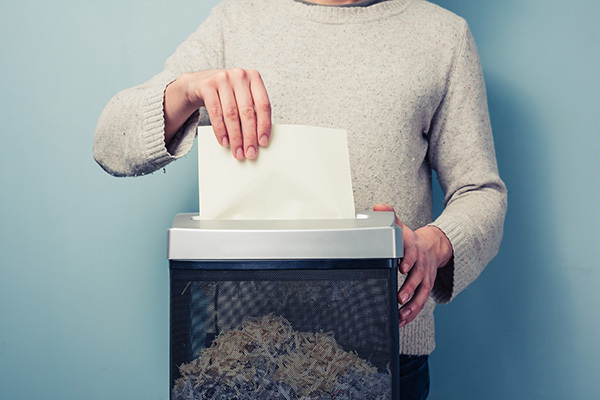 So, how do you know when to start disposing of your documents? Determine which of your business’s documents need to be kept and for how long you need to keep them. Limit the number of employees who have access to company files; whether this is a file room or electronic documents. For employees without regular access, create a request system for them in case they need a specific document. Mark a disposal date for each new document file that has a hardcopy. 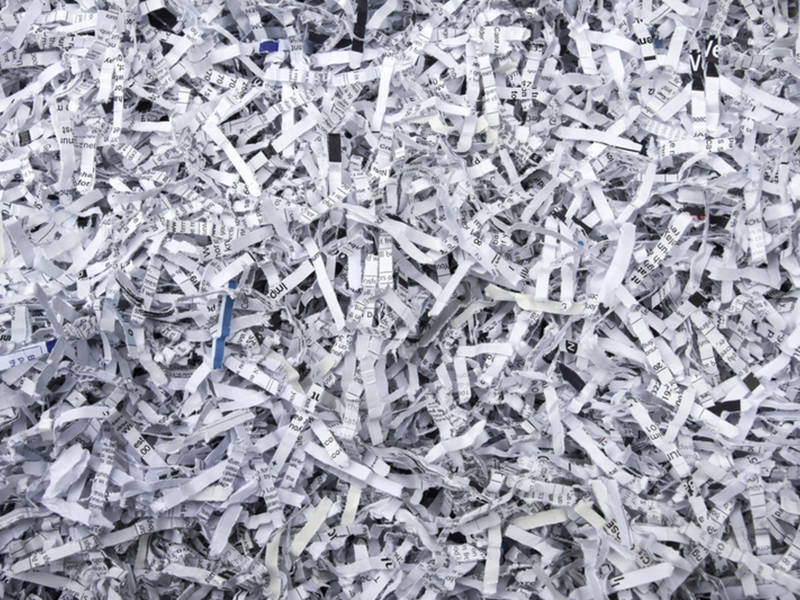 This should be clearly marked on each file, and the proper disposal methods should be noted in multiple places where the documents are stored. Ensure that all file boxes contain a complete list of their contents in a visible place on the outside of the box. Avoid keeping loose documents. 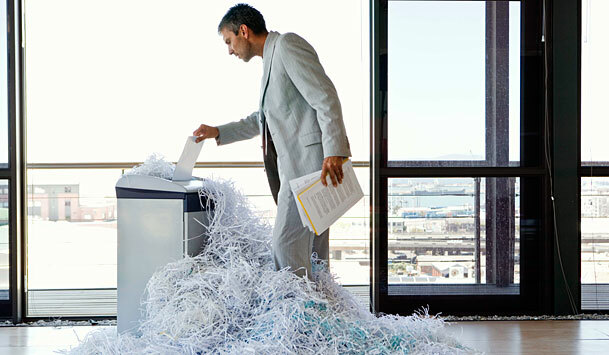 Hire a reliable third-party to destroy your documents for you. They should have an itemised list of documents that need to be destroyed and should provide certification that the documents have been properly disposed of. Once you’ve input this new system, you should consider storing your documents off-site and switching to electronic documents to save time and space.